Which is more common: words that begin with the letter ‘k’ or words whose third letter is ‘k’? Go ahead and take a moment to consider this. I’ve got nowhere to be. The trick here is that your brain is relying on what’s known as the availability heuristic: a mental shortcut that uses the immediate examples that come to mind to form a probability. For instance, let’s say you just watched “Shark Week” and now you’re headed to the beach—probably a poor decision on your part, but we’ll roll with it. Now, even though you’re aware that sharks don’t swim anywhere near this beach, as you approach the opaque water, you can’t help worrying about a shark attack. If someone asks you, “how often do you think two-headed sharks happen?” you’ll give a higher estimate after recalling this picture–even though the probability hasn’t changed! 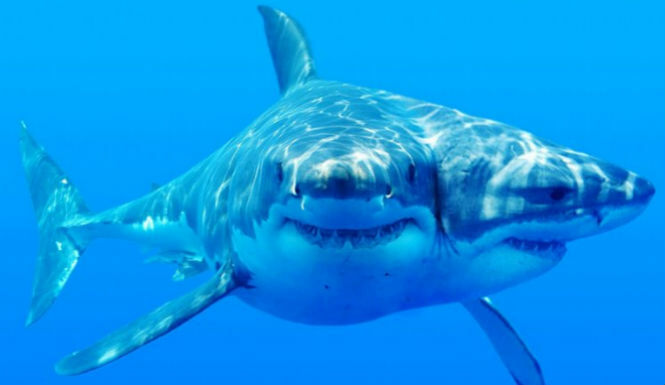 Even though you factually know that you will not get attacked by a shark, with the ease that instances of shark attacks come to mind, you inflate the probability that you will get attacked. Another example would be learning that a large company is having massive layoffs, and you begin to fret about your own job—even though your company is entirely unrelated. Or maybe you learn about a guy in your city winning the lottery; now, all of a sudden, you’re out buying lottery tickets. Even though new knowledge like this technically has no bearing on the probability that something similar will happen to us, we use these memories to artificially inflate our estimates. Now, the mental mechanism through which this works is known as ease of retrieval. In a somewhat recent experiment, researchers divided participants into two groups and asked one group to recall two personal instances of aggression, while those in the other group were asked to recall eight. Now, from everything we’ve discussed, can you guess who would rate themselves as more aggressive after completing this task? As it turns out, those who recall two instances actually consider themselves more aggressive. Why is this? Well, if I ask you to recall two instances, you can do that pretty easily. However, when I ask you to recall eight, it becomes more challenging. However, in this case, you’d be mistaken. Schwarz, N., Bless, H., Strack, F., Klumpp, G., Rittenauer-Schatka, H., & Simons, A. (1991). Ease of retrieval as information: Another look at the availability heuristic. Journal of Personality and Social psychology, 61(2), 195. But what if I don’t want to think, feel, or act anymore? Can’t I just have rules to blindly apply to all people, places, and situations I encounter?!?! Grrr so tough to read your blog haha….just kidding of course! Haha How do you think I feel? All this supposed “understanding” of myself and yet I continue to make the same silly mistakes… Welcome to the club of real thinkers!